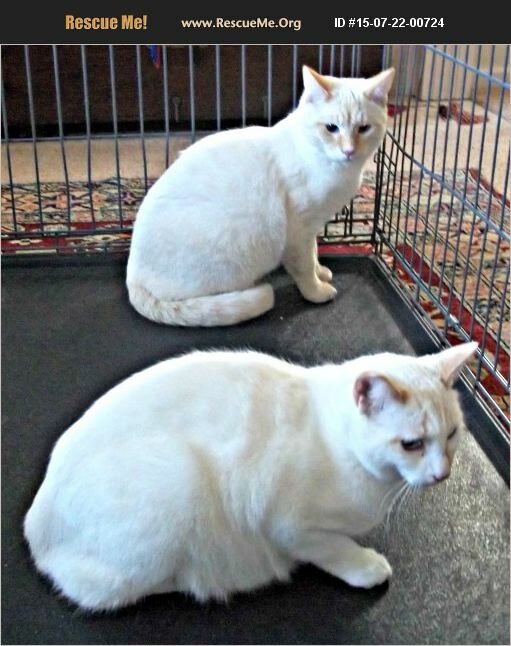 We have two gorgeous Flame Point Siamese boy cats about 2 years old. They are bonded brothers named Simba and Eeyore, so we want them to be adopted together. They have finished all their vet work. We need permanent INDOOR-ONLY homes for these two gorgeous cats. If anyone in the Northern San Francisco Bay Area is interested, please call Jane. A pre-placement home visit is required.